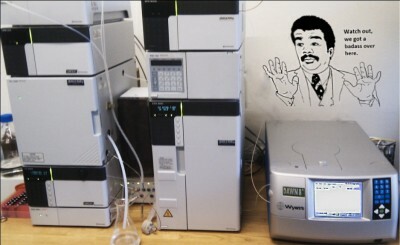 Shimadzu Gel permeation Chromatography (GPC) with a RID10A refractive index detector (RI), a Wyatt Heleos 8 angle static light scattering (LS) detector and a SPD-M20A photodiode assay (UV-vis PDA). oth aquatic and organic solvents. The LS-RI detectors can determine the molecular weight, without referring to standards or assuming the conformation of the polymer. It also determines the polydispersity (PDI), root mean square radius (Rg), gross molecular architecture of the macromolecule (globular, linear or random coil architecture in solution, degree of branching in dendrimers, number of conjugated polymers attached to a given molecule etc.) and the second virial coefficient (A2). This allows for a thorough characterization of polymers, and also a differentiating the sample by identifying and characterizing aggregates. 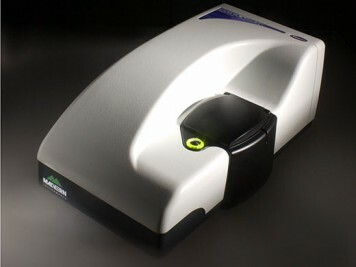 The PDA continuously measures a full UV-vis spectrum of the eluate, useful in characterizing conjugated polymer systems and polymers with conjugated dyes. 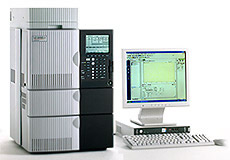 The LC-2010HT is a compact and completely integrated high-throughput HPLC system. 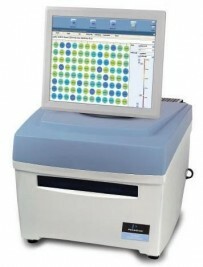 It is equipped with an internal autosampler and UV-detector. Alternatively it can be connected to the PDA detector shared with the GPC. 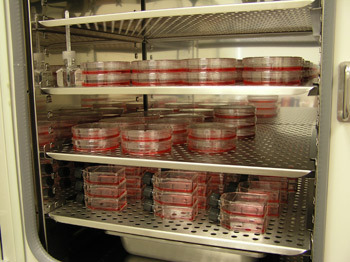 The Cell lab currently contain three different cell lines: HepG2, HUVEC and the Hepatitis C replicon cell line Huh7 APP76. 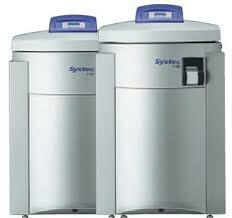 Systec autoclave can be used to sterilize liquid and solid biohazard waste products, as well as sterilization of consumables (e.g. pipette tips, glass ware, etc.). The instrument is co-owned with Thomas Poulsen. The Zeiss Axio Observer Z1 is an inverted optical microscope and can be utilized to obtain differential interference contrast (DIC) and fluorescence images. The microscope is currently equipped with 10x, 40x, and 63x magnification objectives as well as filter sets 38 HE, 43 HE, and 49 for fluorescence microscopy. 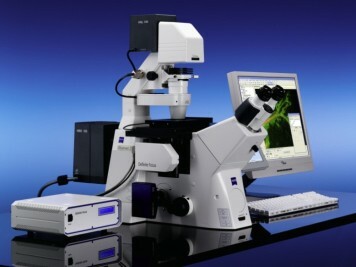 Additionally, the microscope has a digital camera and is attached to a computer. 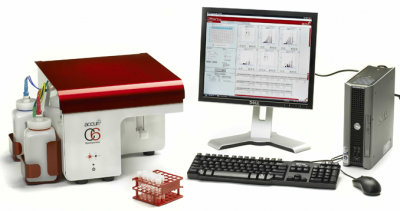 BD Accuri C6 flow cytometer can be used to measure elements of interest (minimum detectable size: 0.5 µm) on a single particle level. The system includes blue and red lasers, four color detectors (FL1 533 / 30 nm (e.g. FITC/GFP), FL2 585 / 40 nm (e.g. PE/PI), FL3 >670 nm (e.g. PerCP, PerCP-CyTM5.5, PE-Cy7) and FL4 675 / 25 nm (e.g. APC)), and both forward and side scatter detectors. Dynamic Light Scattering: Size measurement from 0.3 nm (diameter) to 5 microns using 90 degree scattering optics. EnSpire has four possible technologies, i.e. fluorescence intensity, absorbance, ultra-sensitive luminescence and alpha technology. In addition, there is temperature control up to 65°C, optional dispenser or stacker modules, and bottom reading is available. 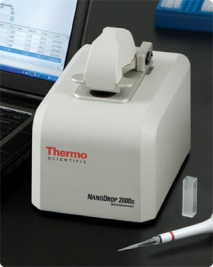 The Nanodrop 2000c allows for UV-Vis measurements of volumes as small as 0.5µl. It also comes equipped with a standard cuvette holder for larger volumes. The Direct 8 system delivers both Type 3 pure and Type 1 ultra-pure water. 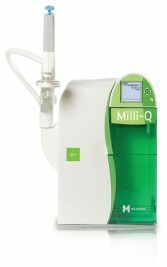 Milli-Q grade ultra-pure water is obtained through a combination of a Jetpore ion-exchange resin, synthetic activated carbon and UV lamp emitting at 185 and 254 nm, resulting in a resistivity of 18.2 MΩ.cm and a TOC value below 5 ppb. 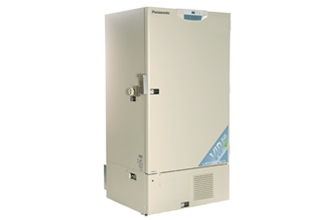 The produced water is further purified with a POD pak for DNAse, RNAse and pyrogen-free water. The freeze dryer allows for a total ice capacity of 4 kg. The -80°C freezer allows for safe storage of sensible samples. The instrument is co-owned with Thomas Poulsen and Thomas Breitenbach.